This morning was a successful tour as we headed west in search of whales. We came upon a humpback which we stayed with for a while before heading to Race Rocks Ecological Reserve to view our sea lions, seals, and our ample bird life. On our way back we decided to look for Gherkin, a young lone humpback that has tugged on all of the whale watchers heart strings. With our luck we had found him feeding just by Beecher Bay. To our surprise he was lunge feeding ! 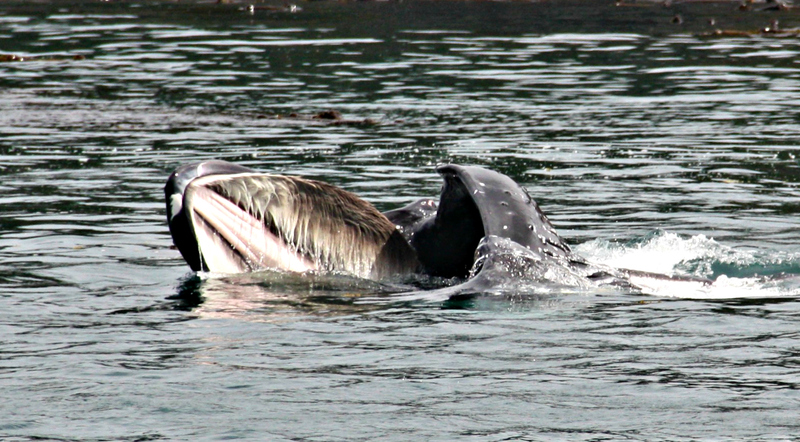 It is rare where we get such great experiences watching humpback lunge feeding. You could see the expanding of the throat and the baleen as the huge mammal hurdled out of the water! This afternoon we were able to catch up with quite a few foraging humpbacks on our way to Race Rocks. We were able to see how different they all can look, from their backs and dorsal fins to the patterns on the bottom of their flukes. 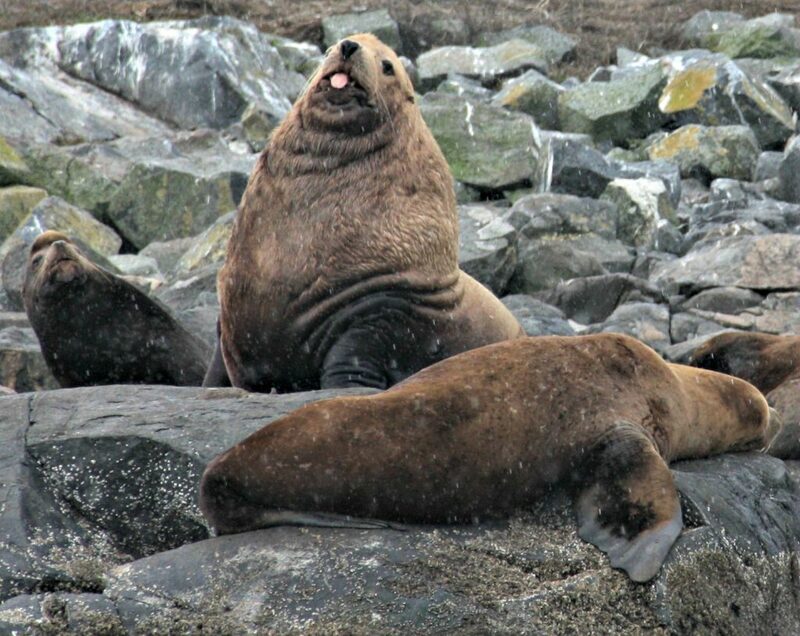 To top off our tour we were able to see the lively California and Steller sea lions, along with the Harbour seals hanging out along the rocks.